Wine Spectator #1 Wine of the Year!!! 6 Bottle Max. Per Customer. 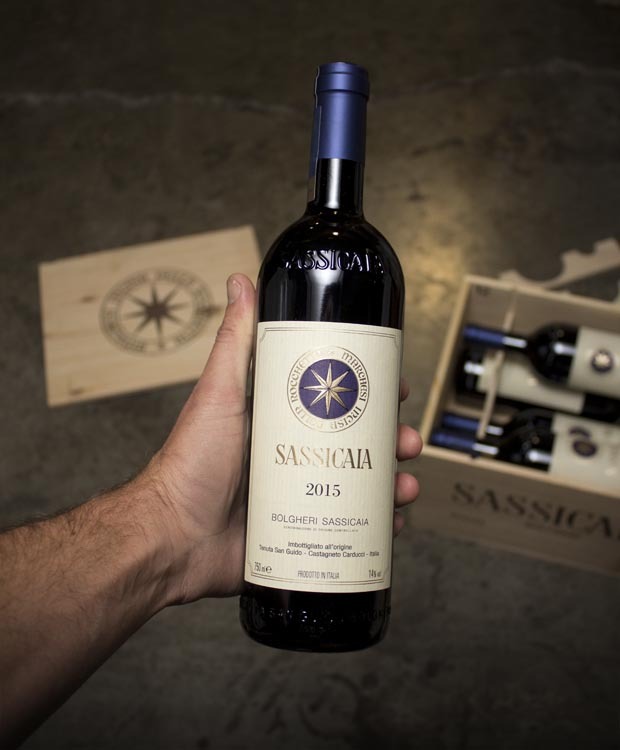 Three are its defining characteristics: the Sassicaia wine, the Razza Dormello-Olgiata thoroughbred studfarm and the Bird Sanctuary Padule di Bolgheri. They divide the estate between the Padule on the coast, the horse's training grounds on the plain, and the vineyards planted up to 350 meters on the hills. The latter have been given their own DOC, the DOC Bolgheri Sassicaia, the first, and so far only case in Italy of a DOC contained in one estate.